Robert Brassey, Principal Specialist Cultural Heritage, is confirmed as of three Key Note speakers at the West Auckland Heritage Conference. His presentation is titled: The Last Flight of Texas Tornado. At 12.25 am on 9 June 1942 a loud explosion was heard across much of Auckland. It was the sound of a USAAF Boeing B17-E Flying Fortress heavy bomber exploding after crashing near Whenuapai air base. All eleven occupants of the aircraft were killed in what was, at the time, New Zealand’s worst aircraft disaster. 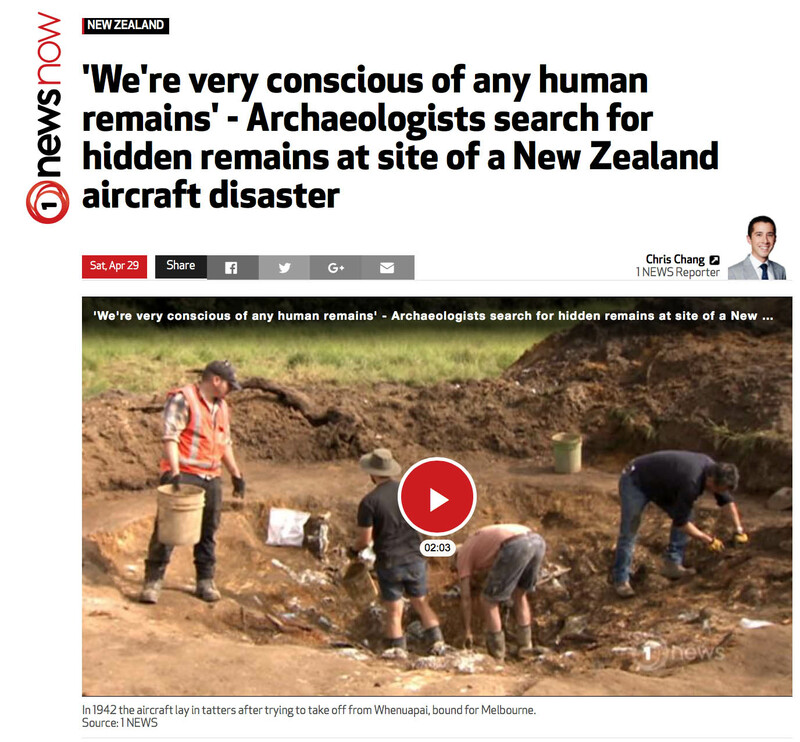 There has been much speculation about the nature of the secret mission that the aircraft was on, and the cause of the crash, which was attributed to pilot error. This presentation will focus on recent research on this tragic event and the results of the recent investigation of the crash site. Image: Clough Associates. 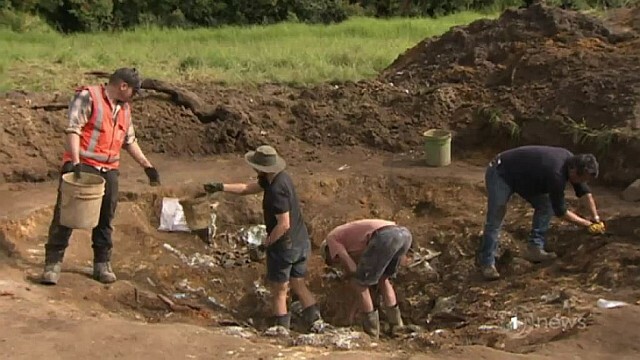 Simon Best, Robert Brassey, Joss Piper-Jarrett and Rachel Ford at the Whenuapai archeological site of the Texas Tornado.